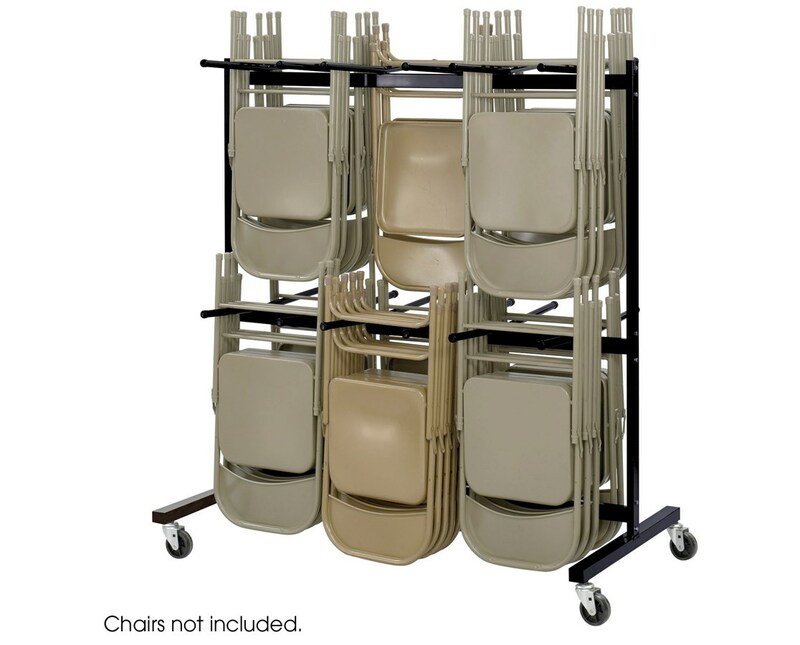 The Safco Two-Tier Chair Cart is a compact truck for carrying up to 84 folding chairs in just one cart. 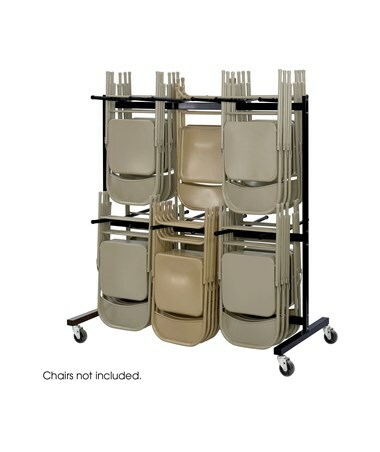 It can be used for conferences, meetings, or any gatherings without the fuss of transferring folding chairs. This double-tier cart has a width of 64.5 inches, 33.5-inch depth and a height of 70.25 inches and it only weighs 80 pounds. For easy mobility, it has four four-inch swivel casters. It is made using a durable solid steel to support the weight of the chairs and is covered with a powder coat, black finish.